Porcupine Tree's Steven Wilson has admitted that his side projects like I.E.M. and Bass Communion are to continue expressing his more experimental side, as PT has become an outlet for more structured (he refuses to accept 'commercial,' and I agree) music. The second Bass Communion work (no title given, so most are just calling it 'II') starts up where the last one left off - serious space and ambience, prime planetarium soundtrack material. After the very brief intro ("Advert"), the super-spacey "16 Second Swarm" (it's actually over 10 minutes) slowly wafts by and without you realizing it, lifts you gently from your seat and carries you off into the ether. Planetary wind voices ebb and flow, while softly breathing synth tones warm the surrounding air - very gentle and hypnotic. "Grammatic Oil" while still quiet, is a little more anxious given the muted tribal percussion backdrop and the foreboding calls from the distance. Steely acoustic guitar plucking opens "Drugged III" (continuing the series from the first album), in time superposed with more warm ambience. Five minutes into the piece, however, heavenly echoed electric guitar chords and Theo Travis' sax stream in and complete a really pleasant amalgam of sounds. The final twenty minutes of the hour-long BCII disc is less memorable, coming across more like assemblages of melodious sounds rather than as inspired musicmaking. The bonus EP of two tracks (totalling 23 minutes of additional soundscapes) will be noteworthy to some simply because of the guest appearance by Robert Fripp. "A Grapefruit in the World of Park" is fairly interesting, constantly fading in and out, each permutation presenting a slightly different collection of sounds. The other piece "Snakebird," is a remix of various whispy noises, shifting synth textures, and pulsing deep buzzer noises, all apparently sampled from the album proper by Mark Poysden (of the Square Root Of Sub). Again, not as effective as the earlier material as it was originally presented. The words 'ambient' and 'minimalist' usually scare me when applied to music, and I don't know whether both of these terms should apply here (I suppose so). 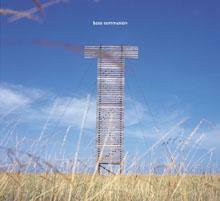 But I really have to admit that I like Bass Communion II - more than I thought I would. Tracks like "Signify" with its heavy kraut-groove feel and meaty guitar are my favorite things about Steve Wilson's music, but there's no doubt that the guy can wear lots of hats in the studio and make wonderful music in many different ways. You can visit Steven Wilson at his web site. There is also a very informative Porcupine Tree web site.